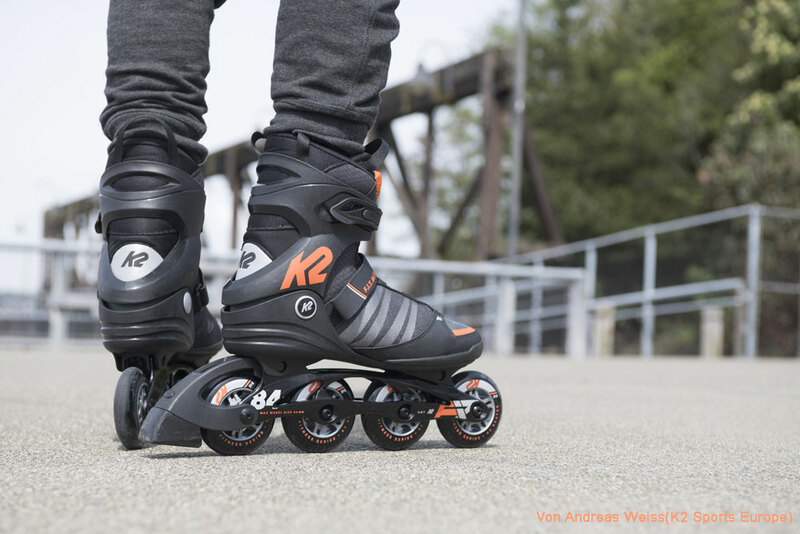 K2 Fit 84 Boa 2019 - the new K2 Fit 84 Boa Men 2019 is equipped with a Boa lacing system, as well as 4x 84mm wheels and an ILQ 7 ball bearing. These inline skates are a masterpiece in terms of comfort and performance. The wearing comfort consists of the original K2 soft boot and the Boa closure system. With the practical knob, the skates can even be adjusted while driving. It facilitates entry and exit and saves a lot of time. The DC aluminum frame can be equipped with both 84mm and 90mm wheels. In addition, the rail provides a stable platform for high speeds and has a small axial distance, which guarantees maneuverability. For the necessary support, the Stability Plus Cuff was used.